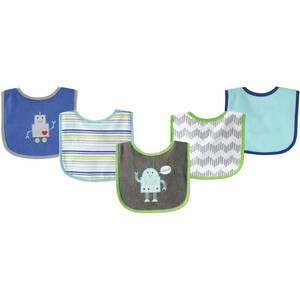 Luvable Friends Drooler Bib with Waterproof PEVA Backing 5-Pack are ideal for preventing meal-time messes and wet, drooly clothes! 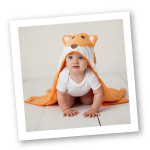 Soft, absorbent fabric on the front, and a water-proof backing helps keep baby's clothes clean. These colorful bibs feature cute embroidered sayings and appliqued characters. Bib Measures 6 x 7.5 inches (from neck down). Available in boy and girl designs.